Iran-Egypt: Prospects of a New Alliance? What is the state of relations between the Muslim Brotherhood and Iran, especially in light of Iranian Foreign Minister Ali Akbar Salehi’s third visit to Egypt since President Mohamed Morsi took office in June 2012? After 32 years without diplomatic relations, Egypt and Iran have initiated a dialogue since the Muslim Brotherhood has risen to power. But the Islamic Republic and the Brotherhood are not natural allies. The Brotherhood is a mainstream Sunni Islamist group that is more aligned to other Arab states in the Gulf than to Iran. The Sunni-Shiite divide in the Middle East is not a real tangible thing. It is largely imagined or manufactured, but powerful actors such as Saudia Arabia have spent money and capital to make people aware of this. Hence, the regional players usually operate along sectarian lines. The Palestinian issue is the one exception. The Muslim Brotherhood and Iran both have strong ties to Hamas, a Sunni group with political and military wings. The Brotherhood has even expressed solidarity with Hezbollah, a Lebanese Shiite group backed by Iran. But the Brotherhood’s view of Hezbollah has little to do with shared ideology. It is solely based on politics and a commitment to stop perceived injustice or oppression. The Brotherhood generally supports groups that it perceives as oppressed. What was the agenda of the visit for Iran? For Egypt? Egypt and Iran had a common agenda, but perhaps with different goals. The main item on Egypt’s agenda was the Syrian conflict. Morsi has repeatedly denounced President Bashar Assad’s crackdown on his own people. In August, he launched a four-nation initiative—Egypt, Iran, Saudi Arabia and Turkey—to halt the escalating violence. And in September 2012, Morsi publicly acknowledged that Tehran was “vital” in resolving the crisis. Iran, as a key Syrian backer, could influence a transition. Iran focused on the Syrian issue, but partly for its own political reasons. Tehran feel increasingly isolated. It wants to explore better relations with Egypt, the most populous and important Arab country politically. 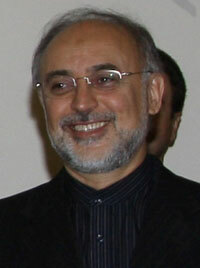 Foreign Minister Ali Akbar Salehi, on an African tour, has been reaching out to other countries to have conversations. The visit, a regional meet-and-greet, was a way for both countries to broadly open up a dialogue. For now, Egypt is willing to see where the dialogue with Iran leads, but it is long short of cementing an alliance that could change the region’s political balance. The stakes were low since both sides had no concrete expectations. What are the prospects for Morsi changing Egypt’s relationship with Iran? The visit could lead to more talks between the two countries, perhaps on economic issues. But there is a disconnect between how U.S. and Egyptian policy circles view Salehi’s meeting with Morsi. The two countries are unlikely to become close allies or change the balance of power in the region. The Muslim Brotherhood has acted pragmatically both before and after the 2011 revolution, and Egypt has little incentive to break away from American patronage. Iran has little to offer Egypt. It cannot buy off Egypt with foreign aid or arms. Tehran also lacks influence with the International Monetary Fund and the World Bank. The United States and its Persian Gulf allies have more capital for Egypt and better connections with international financial institutions than Iran. The Egyptian government would have a hard time selling its public on an alliance with Iran. Egypt does not have a significant Shiite minority, and its population is heavily nationalist. Egyptians are also staunch supporters of the Syrian revolution, so prospects for opening up to Iran are slim. Iran also views Israel as an adversary, while Morsi played a pivotal role in brokering a cease-fire between Israel and Hamas to end the November conflict in Gaza. How do you assess reports that a new Tehran-Cairo relationship could transform the Egyptian military and interior ministry and Islamize society? Morsi may be considering restructuring internal security services but it has nothing to do with Iran or any attempt to “Islamize” society. The issue of security forces is sensitive because Morsi wants to introduce reforms that extend the executive's control over the institution. It does not seek to reform it or abolish it. The Ministry of Interior is still staffed by Mubarak-era bureaucrats and appointees who want legal guarantees of the ministry’s independence and immunity from oversight, much like a deal negotiated with the army generals. The Ministry of Interior is still the nerve center for domestic surveillance and riot police. In 2009 and 2010, approximately 1.5 million Egyptians worked for the ministry, many as informants. One in 50 citizens worked for various security services—roughly equal to the ratio of East Germany’s security services before 1989. During Mubarak’s rule, the ministry was responsible for egregious acts of torture, corruption and thuggery. This controversy has coincided with—and entangled in—the Iranian foreign minister’s visit. The Gulf-based Arab press claimed that former Minister of Interior Ahmed Gamal al Din was ousted in early January because he objected to a meeting between President Morsi and a Revolutionary Guards commander. A Muslim Brotherhood spokesman called the reports “pure fiction.” Similarly, the Egyptian domestic press does not seem to give the reports as much credence as the Gulf-based press. For the time being, it is best to treat this as a rumor rather than fact. Joshua Stacher is a Fellow at the Woodrow Wilson International Center for Scholars currently on leave from Kent State University.